Prior to the bombing of the government quarter in Oslo and the massacre on the island of Utøya on 22 July 2011, a YouTube video was released by Anders Behring Breivik. He used this to present his detailed manifesto. Music contributed to the chilling message. 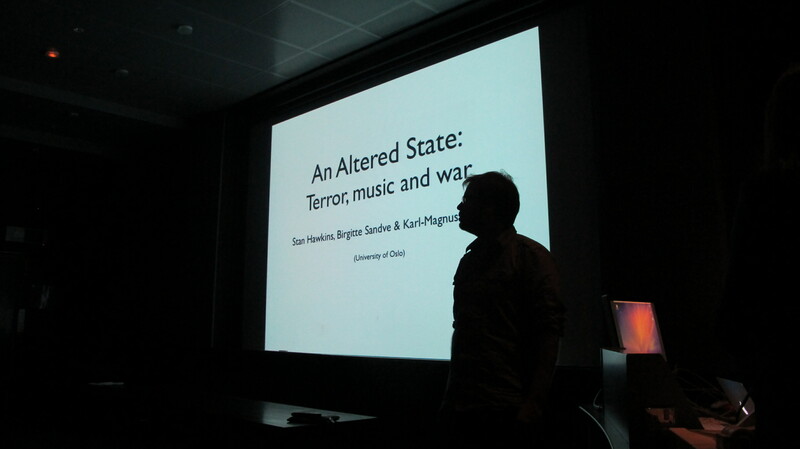 This lecture considers the role of music in motivating the Norwegian terrorist, as part of a project on music and transculturalism in Norway. Gender forms a main focal point of this presentation, with particular emphasis on the links between music, masculinity and ethnicity. The lecture will also deal with responses to the terror attacks on Oslo by discussing how music contributed to the process of re-establishing a sense of shared community. At the Memorial Concert in Oslo’s Cathedral, the Norwegian rap group, Karpe Diem, performed their 2010 hit ‘Byduer i Dur’, which soon became an anthem for Norway’s capital. This song and its performance are used to explore how notions of cultural belonging underpin the complex identity politics of a nation-state, not only in the outpouring of unprecedented grief, but also in the process of transformation. 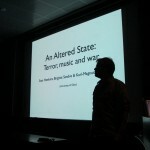 In connection with the project I’m leading, the well known musicologist, Phil Tagg, was invited to hold a guest lecture at the Dept of Musicology, University of Oslo, on 29 February 2012. This was well attended by students and staff, and centred around issues of ethnicity and gender. Everyone was requested to check out the following clip prior to the lecture. You can check my comments on this on the You Tube site page for this video.